As modern farming practices developed, a sustainable agriculture industry is a must. This includes economic, food, social and environmental sustainability. With the help of a projected capacitive touchscreen (PCAP) technology, the knowledge within the sector will absolutely increase. Resiliency and productivity will greatly be delivered and practise as well. But, how can you utilise such kind of technology? Read on because in here, you will fully understand how to innovate agricultural solutions using the PCAP technology. You cannot deny the fact that in every type of agricultural sector, technological advancements are now a necessity. 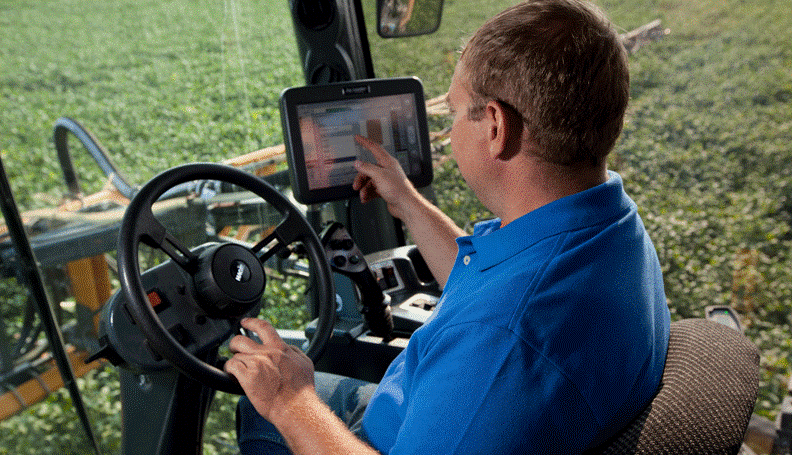 From agricultural equipment to farming operations, a touchscreen technology can take your agri-tech business into next level. Always remember that the agriculture industry remains to have a harsh working environment. It is also classified in various types such as breeding of animals, cultivation of plants and fungi for food, biofuel, and other products to sustain and enrich human life. Thus, it also consists a wide variety of agricultural processes. To ensure efficacy, high volume of production, and hygienic, a computing system is required. So, let us explore the uses of PCAP-enabled computers in agriculture. These days, traditional agriculture is now an option due to several factors such as climate change where using the modern technology comes to the rescue. One of the most important uses of computing system in agriculture that you can install a certain software. Say, mounting a 12.1” rugged touch computer panels can predict the weather conditions and estimate agricultural production. This can also perform other agricultural processes, and record valuable information. When it comes to livestock farming, this software is also applicable to track and evaluate animals such as health records, age, milk production, reproductive condition, and offspring activity. Putting up a 12.1” touch-enabled computers eliminates your worries of system failure as it is built to withstand any extreme temperature conditions. You can also ensure that records are accurate since it also comes with a watchdog timer for monitoring, login and control operations. Needless to say, an automated farm equipment gives you full control of various farm equipment in terms of consistency and reliability. Self-propelled 12.1” touch panels farm equipment helps in fertiliser application and crop seeding. PCAP technology is also helpful in feeding system such as milking machines and milk collection. It provides better economic yield when it comes to dairy and livestock production. Now, projected capacitive touchscreens have its own highlights in automated farm equipment and feeding system. It is wear- and water-resistant with exceptional optics. It works with finger, gloves or any passive pen. Its touch coordinates are also drift-free, lightweight and can endure shocks and falls of debris. Get A Make-Over Now And Move! You can still make use of the traditional agricultural practices. But, being innovative will improve the things you are already used to. Whether you like it or not, technologies on projected capacitive touchscreen will absolutely change the agriculture industry. So, decide now and get a make-over.